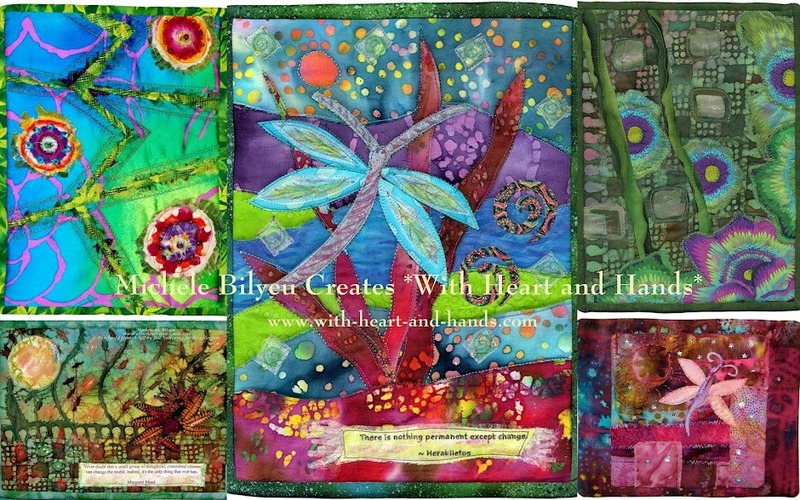 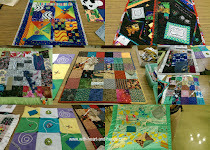 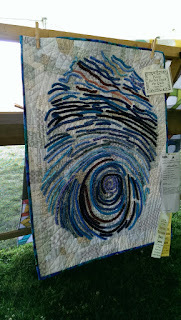 Michele Bilyeu Creates *With Heart and Hands*: Sisters Outdoor Quilt Show: Teacher's Quilts! Sisters Outdoor Quilt Show: Teacher's Quilts! 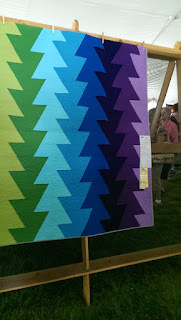 are found in the "Teacher's Tents" each year! And oh, how fabulous they truly are! Some of the quilt artists are simply recognizable by their art. 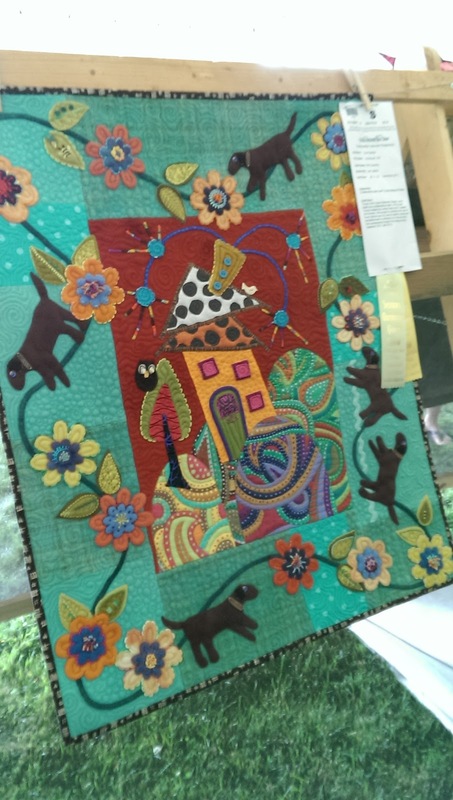 June Jaegar (sister of Jean Wells, by her animals, Violet Craft by her paper pieced animals, Rosalie Dace by her earthy colors and wonderful collaged layers..others by their graphics or artistry or piecing, or yes, amazing quilting or wool applique work. 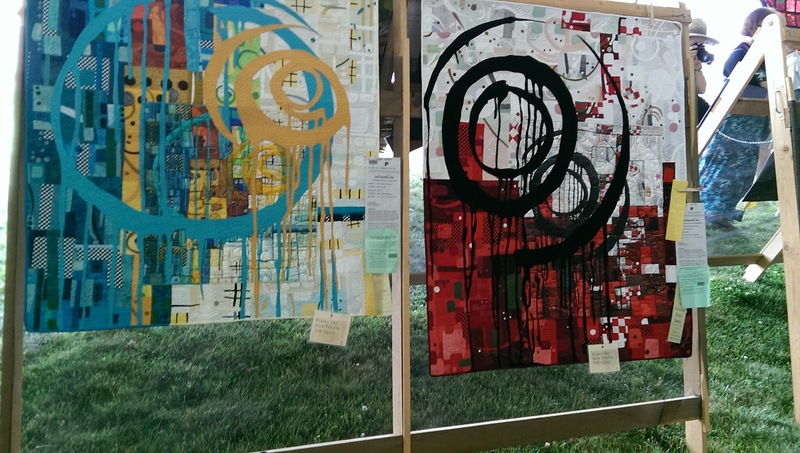 But they are all distinctively beautiful. 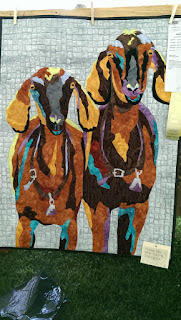 Others have tried to copy and others always fall short and look like they tried to copy! 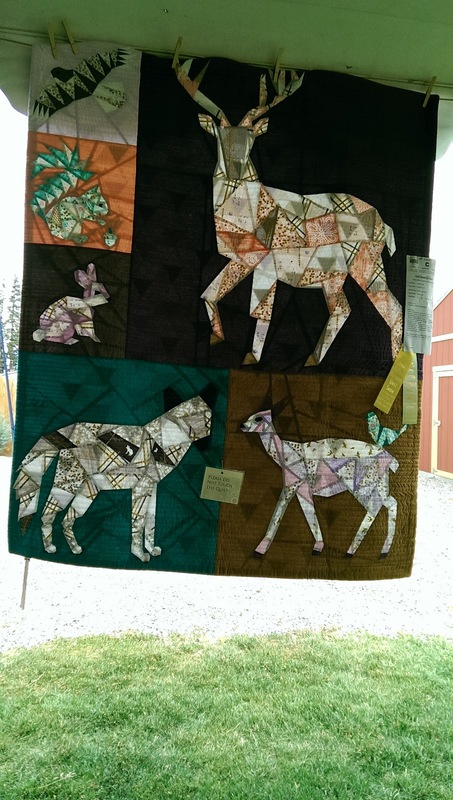 Gorgeous quilts!!!!! 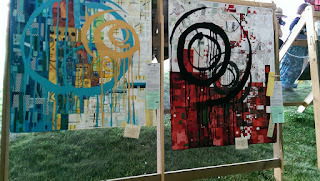 The Teacher's Tent is always behind the Sisters Art Works building and three blocks from downtown. 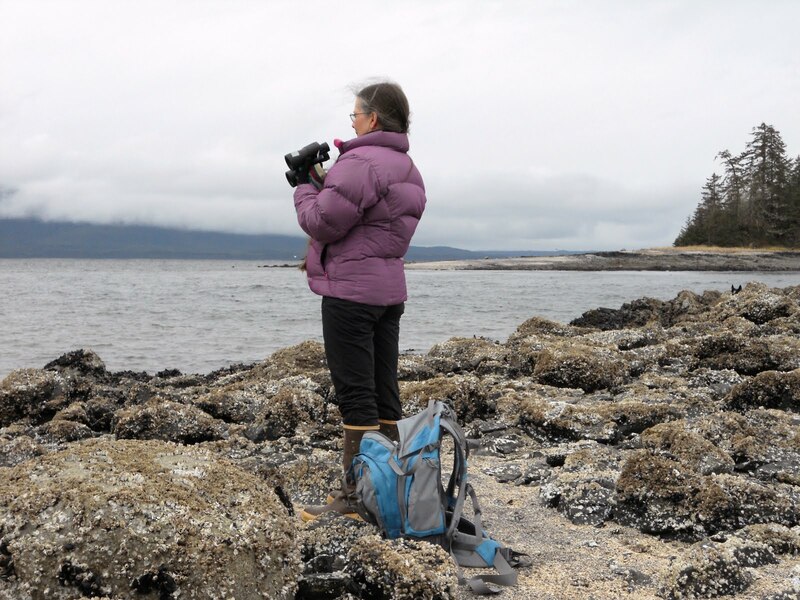 It's a bit of a walk, I won't lie..but one of the very best things to check out. 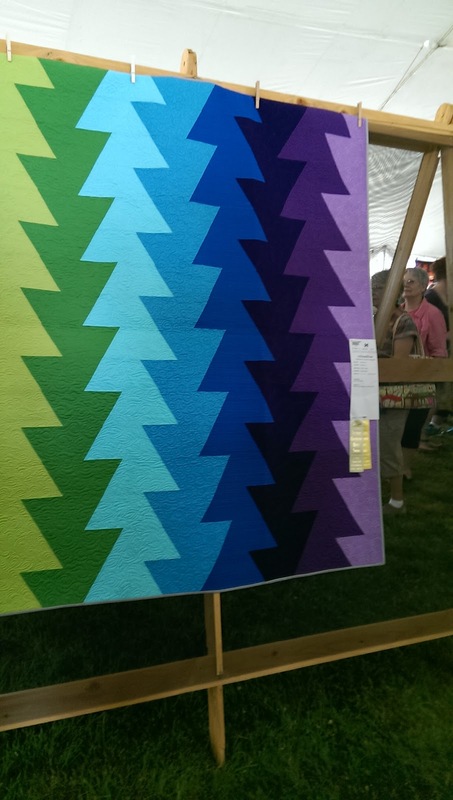 Each year the week before the show event "The Quilters Affaire" has instructors and classes with world class teachers and the most amazing and sought after techniques and designs are highlighted by the example quilts of those teachers in this one big top of a tent in the grass. 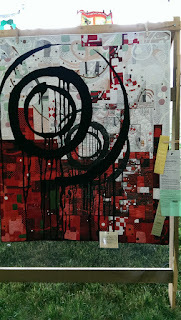 A lovely, lovely exhibit!! 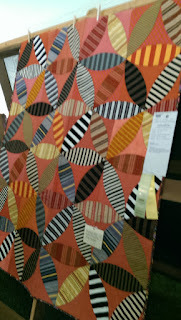 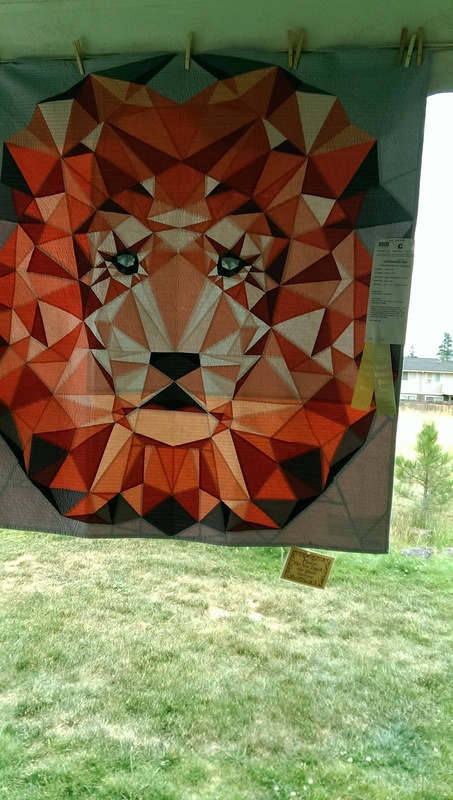 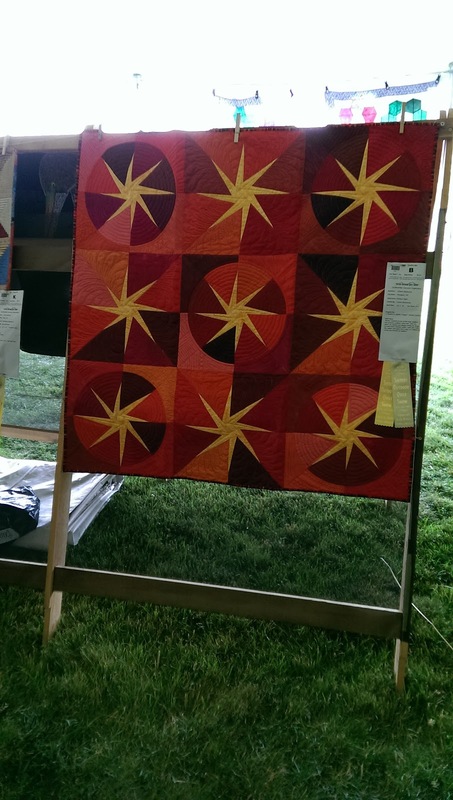 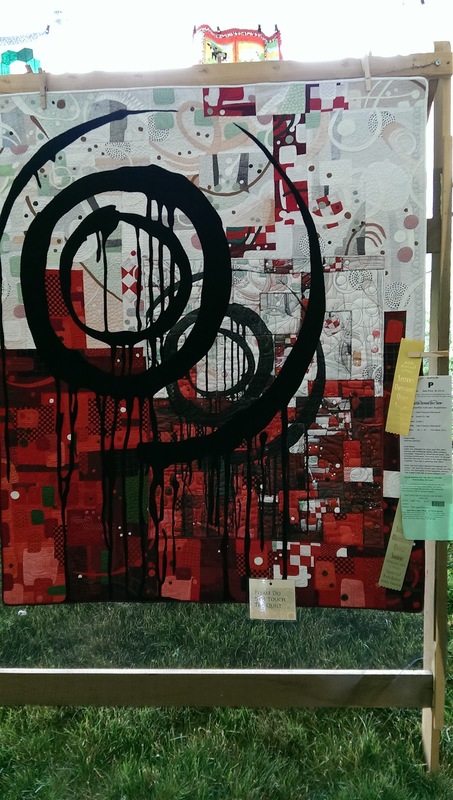 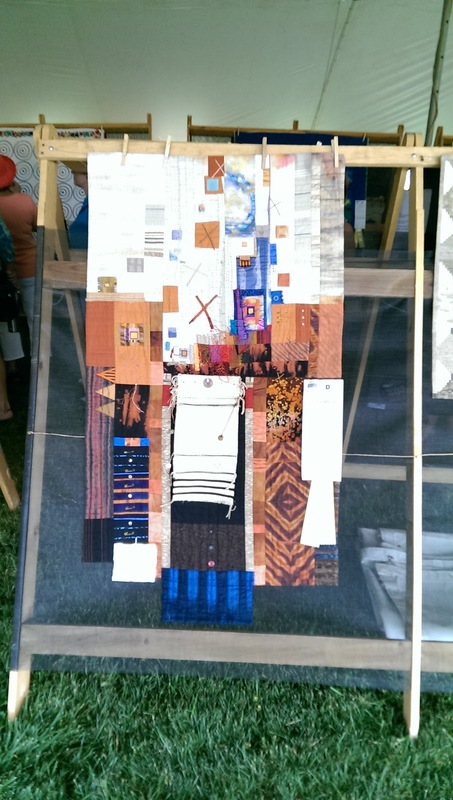 Sisters Quilt Show 2015: PHOTOS! 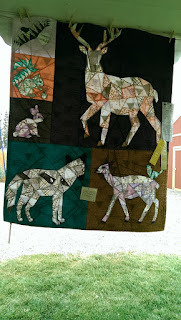 Sisters Outdoor Quilt Show: Diverse, Modern, Liberated and Fun!